Scored low on “Inclusion” & want to know why? Even when you have a diverse team and a strong culture, it doesn’t automatically guarantee Inclusion and Belonging. Did your company score low on Inclusion in the last engagement survey? 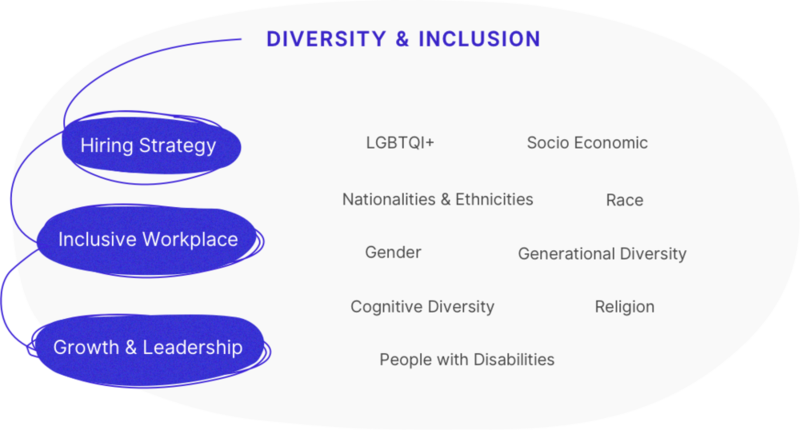 Through in-person interviews (following the JTBD framework) and surveys with the employees, we will be identifying the obstacles to Inclusion and work towards removing them one by one, so that your company doesn’t have any barriers to leverage the talent it has already hired. I identify and remove obstacles to Inclusion and talent growth for businesses based in Ireland 🇮🇪, UK 🇬🇧, and Bulgaria 🇧🇬, so they can innovate at full capacity. See what types of businesses I focus on. I interviewed 10 tech companies from 10 countries, these are companies that I know take D&I seriously. 2. To inspire other companies to reflect on their values and give them the courage to start making a change by seeing a wide range of approaches. 3. To show companies of various sizes, of various geographies and with various approaches to D&I, so companies who are new to D&I or struggle with D&I can relate to and learn from the ones who are more similar to them. VESSY™ by Vessy Consulting Limited © 2016-2019. All rights reserved.